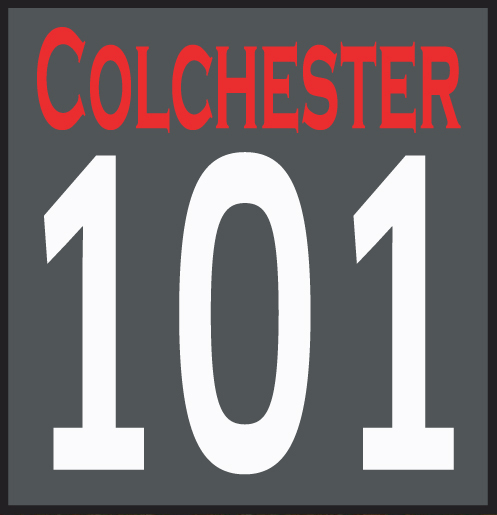 Pete Hope, co-founder of GO4 Enterprises who run the GO4 Market Café in Holy Trinity Church, Trinity Street, and Café on the Rec in Old Heath, tells Colchester 101 readers about himself, how he came to found the social enterprise, and the challenges they face. I was born in 1952… I’ll let you do the maths, Al Martino, “Here is My Heart” topped the embryonic music charts, not that I can remember ever hearing it. I guess I am very fortunate to have lived through the 50’s, 60’s, 70’s, 80’s, 90’s and having a good go at enjoying the new millennium. When I left school there was no such thing as a NEET (Not in Employment Education or Training). That was how you dressed for an interview. Gay was a brightly coloured article. I wasn’t a major success at school and obviously suffered from some form of juvenile amnesia as I often forgot to go. Lack of qualifications didn’t hinder my progress into work, I learnt three good things at school – how to bunk off without getting caught, how to type and do shorthand – I told the school I had aspirations to be a journalist… the truth was a little different. Wherever I worked I ended up typing and taking notes. Employers seemed to be surprised that I could type, and quickly, but also that I was a male who was able to touch type. I often wonder how things would have panned out if I had learnt woodwork or metal work, but Lyndon Croney the love of my life, didn’t do woodwork or metalwork she did RSA Stage 1 typing and shorthand… it was a no brainer. My first job was at Stratford Magistrates’ Court, where my typing skills were used daily. I moved out of the area for a while to take a better paid job in Dunstable Magistrates’ court. After phaffing around I managed to get arrested for TWOC of a motor vehicle – it’s a long story – fortunately charges were dropped but I lost my job. childhood dream to follow my dad as a firefighter. I served over 16 years, but incurred a due to service injury that pensioned me out of the Brigade. The effect of that was quite devastating, a loss of income, identity, leading to boredom and dissatisfaction… I learnt then about the Black Dog of depression. It wasn’t a nice time, with three young children, large mortgage, and no qualifications, and having to fight the Home Office over pensions rights – which resulted in a precedent being set for future fire-fighters in my position. The FBU were fantastic throughout this period supporting me even though I had left the service. Anyone who knocks Unions has no real knowledge of the depth of work they do. Once I had recovered from the injury I got involved with voluntary work in the Probation Service, and ended up getting paid work supervising and managing offenders on Community Service (now called Community Payback). It was during this time that I could see the real obstacles that young men with criminal records would have in obtaining work, and by now technology was replacing manual labour, reducing the amount of work available. The Probation Service was starting to do less rehabilitation and was turning into a more punitive government organ, so I left. That process has continued even more so, and the on-going privatisation of Prisons and Probation Service is proving very unsatisfactory. I joined an organisation called Frontier Youth Trust and was invited to develop a youth work amongst young offenders. We concentrated on establishing a housing/mentoring project in Colchester called Out4Good, and this is still running. However, we came back to the old chestnut of lack of employment opportunities for ex offenders, so I left that organisation to form GO4 Enterprises, this happening in 2010. Myself and another founding Director started the Enterprise with a £100 investment. 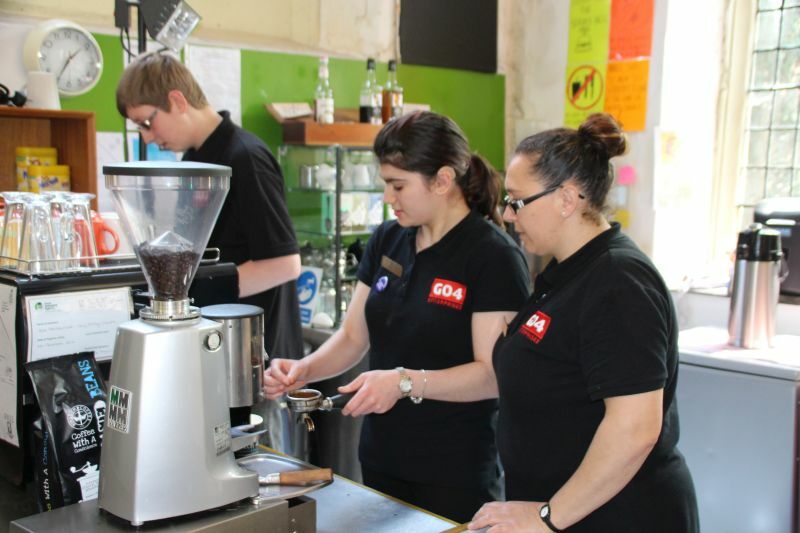 GO4 is a Community Interest Company, a Social Enterprise with the aim of providing work/training/support for long term unemployed, ex-offenders, people with learning difficulties, and disabilities. In 2010 One in Five young people were categorised as being Not in Employment, Education, or Training, so we broadened the remit from ex-offenders to any person out of work. My experience of being out of work through no fault of my own was a major spur in trying to do something positive benefitting both the community and individuals involved. My involvement with the criminal justice system, both as a Court Clerk, and then from the wrong side of the Dock, gave me a real understanding of what it was like to be on the wrong side of the law. If I had gone to prison for the offences I had committed, my life would have taken a completely different direction. I had a family who backed me and spoke up for me. Many young people don’t have that support. 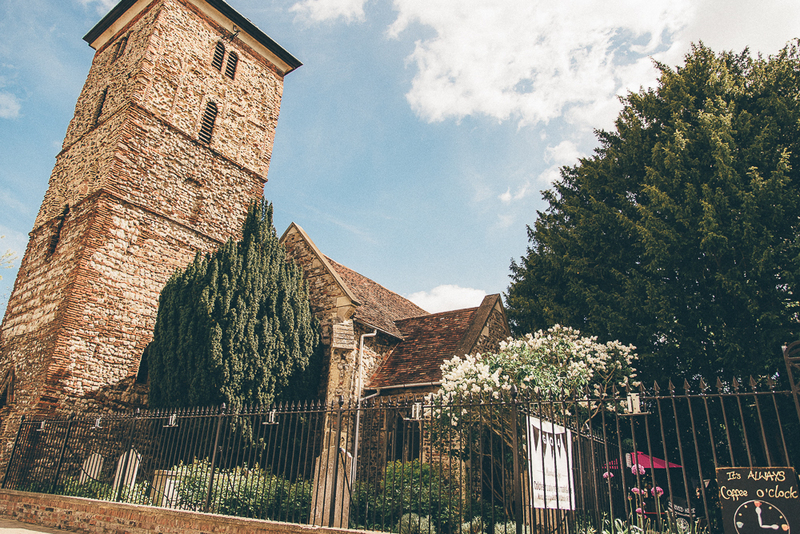 In 2013, after three years of undertaking voluntary projects with a whole range of individuals, with little funding, we took over Holy Trinity Church and turned it into an indoor market and café. We were also undertaking a gardening contract for a local housing association, and employing three ex-offenders supervised by a paid manager. Our young people were now getting paid, and we saw a marked difference in their attitude and a subsequent drop in criminal activity, and one lad who is still with us overturned a crippling heroin addiction as well as shedding his tag as a Persistent Prolific Offender. Currently we are assisting several young people with learning difficulties, helping them to get work ready, giving them training and work experience. We now work with people with physical and mental illnesses as well as entrenched unemployed whatever their age. Our two main businesses are GO4 Market Café in Holy Trinity Church and Café on the Rec in Old Heath. We are engaged in a voluntary project on Jaywick. The challenges of Holy Trinity Church are that it is cold and poorly lit. 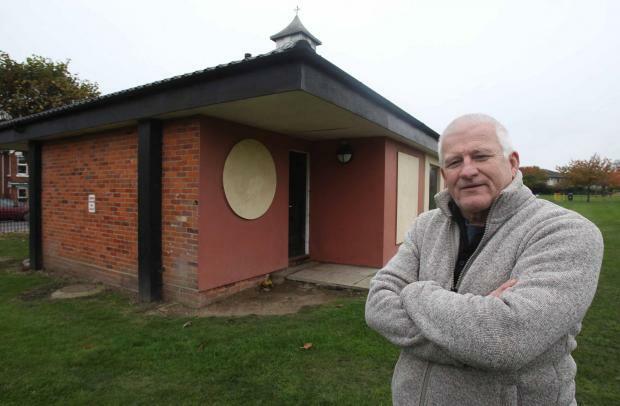 It is owned by Colchester Borough Council and they have said they have no resources to improve the facilities. We do not have the expertise or time to invest in a major fundraising bid on the building as this would distract us from the work we need to be doing with our staff/volunteers. At the moment, because of a council staffing issue, we have been unable to meet with the CBC Estates team to discuss options and a way forward but unless we get a clear message from CBC it will be difficult for us to maintain or improve our position. The “café on the rec” presents itself as a clear opportunity to train more people, but again without the support of volunteers to assist us in our aims this work could be hampered through lack of investment. We have other out of borough opportunities presenting themselves and we will explore these in greater detail if momentum is lacking within CBC. GO4 is governed by 5 Directors and we are all unpaid. We have a share issue whereby staff can be involved, and independent investors. We have 18 independent traders in the Market/Café, 6 staff on the payroll and 20 individuals on either work experience or volunteering. So including the Directors there are nearly 40 people who have a stake in GO4. The future is uncertain, much depends on whether we are able to draw in extra investment to branch out and concentrate on developing training in catering, with less emphasis on the market/café. I would expect over the coming months that there will be some closures of small independent cafes as consumer confidence reduces. A nearby competitor has closed recently. There are plenty of coffee houses in Colchester, so as a company we need to always be considering what options we have to diversify and increase our capacity.